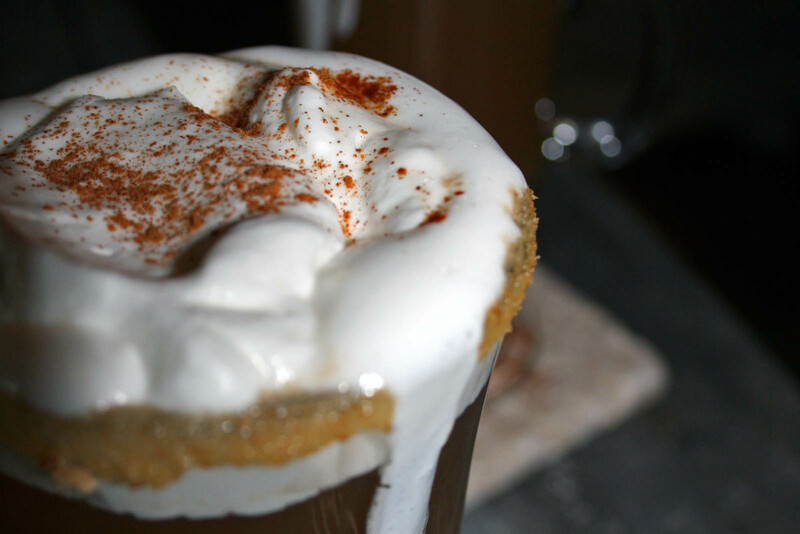 Tastes just like the real thing….so perfect for sitting in front of the fire on a cold winter night. 1. In a small sauce pan bring your hot apple cider to a boil and remove from heat. 2. Put graham cracker crumbs in a shallow bowl. 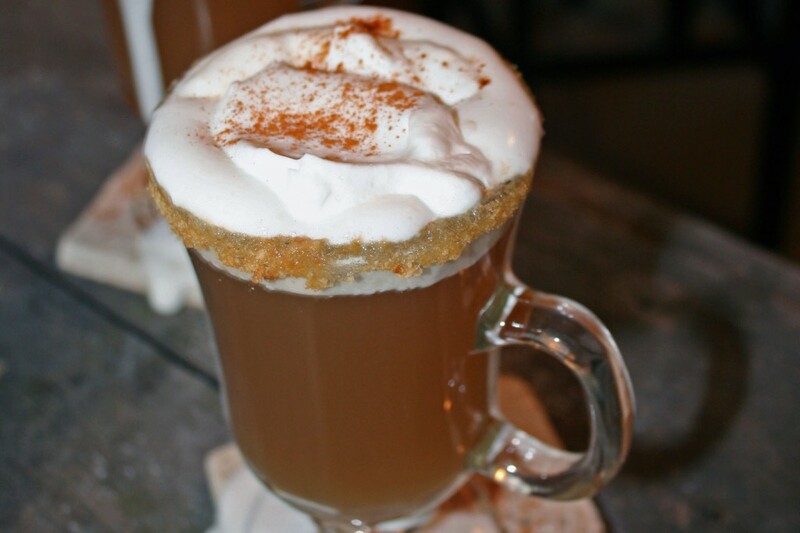 Use a lemon wedge, melted butter, or water to moisten the rim of an Irish coffee mug, then dip the rim of the glass into your graham cracker crumbs. 3. Add the Frangelico, Flor de Caña and hot apple cider. 4. Top with a spoonful of whipped cream and garnish with a sprinkle of cinnamon or a cinnamon stick.